Now is the time to move to Azure Government and reap the rewards of cloud technology including the ability to scale up or down quickly, pay only for what you use, and save on compute power. 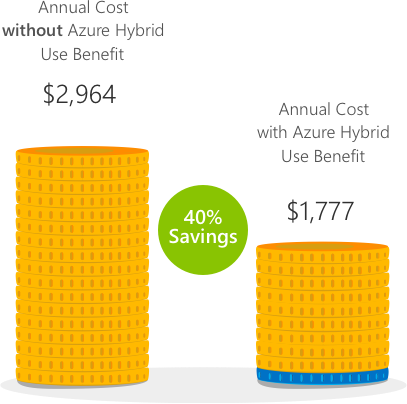 Whether you’re moving a few workloads, migrating your datacenter, or deploying new virtual machines (VMs) as part of your hybrid cloud strategy, the Azure Hybrid Use Benefit provides big savings as you move to the cloud. 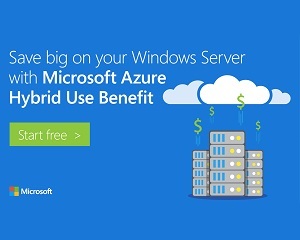 What is the Azure Hybrid Use Benefit? Azure Hybrid Use Benefit for Windows Server includes: Windows Server 2008R2, Windows Server 2012, Windows Server 2012R2, and Windows Server 2016. Azure Hybrid Use Benefit for Windows Client includes Windows 10. For more information, please see the Azure Hybrid Use Benefit licensing page. You can also run virtual machines with more than 16 cores by stacking licenses. For example, for two 2-processor licenses or two 16-core licenses, you may run a virtual machine with up to 32 cores. You can deploy VMs from specific Marketplace images that are pre-configured with Azure Hybrid Use Benefit – Windows Server 2016, Windows Server 2012R2, Windows Server 2012 and Windows Server 2008SP1. You can upload a custom VM and deploy using a Resource Manager template or Azure PowerShell. Would you like more information about how to take advantage of the Azure Hybrid Use Benefit with Azure Government? Contact us! We would be happy to help you.